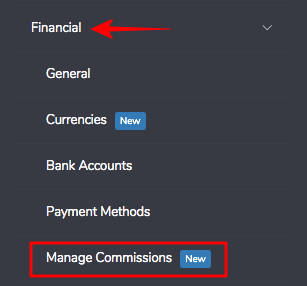 Learn here how to set up commissions rules. Using this tool you will be able to distribute the values of commissions between Offices, Schools and Consultants. Lets create your first commission rule? This option is for agencies that have affiliated societies that depends on the headquarter. That is, there is a commission for the headquarter on the sales made for the affiliated societies. This option is for agencies that have affiliated societies that are independents from the headquarter. In that case there isn't a commission for the headquarter on the sales made for the affiliated societies. After clicking a window will open and in this window you will be able to edit your commissions preferences. Tuition value: the commission will be applied over the value of the course. Fixed Commission by Sale: the commission will be a fixed value for sale. Define the percentage of commission that the agency will receive. Choose what kind of agreement with the school or partner is: NET or GROSS. Choose "Active" to make your commission available. If you don't want it yet, click on "Inactive". In the same window there is the Commission Distribution section. In this section you can define the percentage of commission for each Office and Users. Obs 1: If the option Affiliated societies headquarter dependents were marked, the "Main Office Commission" option appears. In the other case, only the options "Office Commission" and "Users Commission" will appear. Obs 2: If you choose the option "Apply over main office commission" all the commission will go to the Main Office. The commission of the office will be a percentage of the Main Office commission and the the user commission will be a percentage of the office commission. After doing all these set up steps, you will be able to see in "Simulation" an example of commission math. Click on "Save" and then see your new commission listed on "Commission Rules". 2 - View Rule: See all the details of the percentagens created in this rule. 3 - Edit Rule: Edit name, application, percentagens, kind of deal and status of the rule. 4 - Delete Rule: click on this button to delete the rule. That's it! Now you know how to create commission rules to your sales. 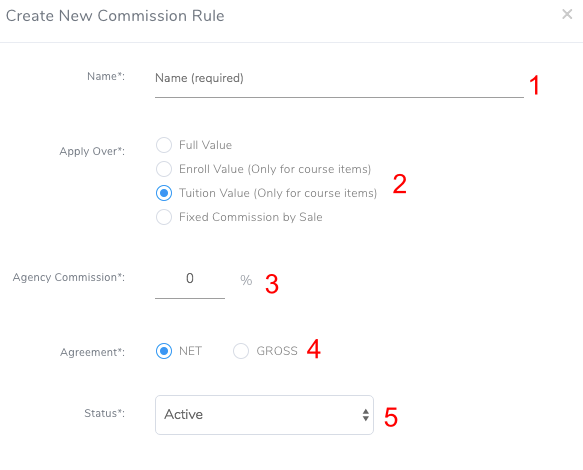 Click to learn how to include commission rules to schools or partners. If you have more doubts call us on chat!